It is April… that time of year in the north east/mid Atlantic regions of the United States that gets kayakers blood pumping as the ice retreats for the final time of the year. Paddlers begin dutifully checking gear, restringing deck lines, repacking dry bags, refilling first aid kits as the full on season can be seen, smelled and even felt. 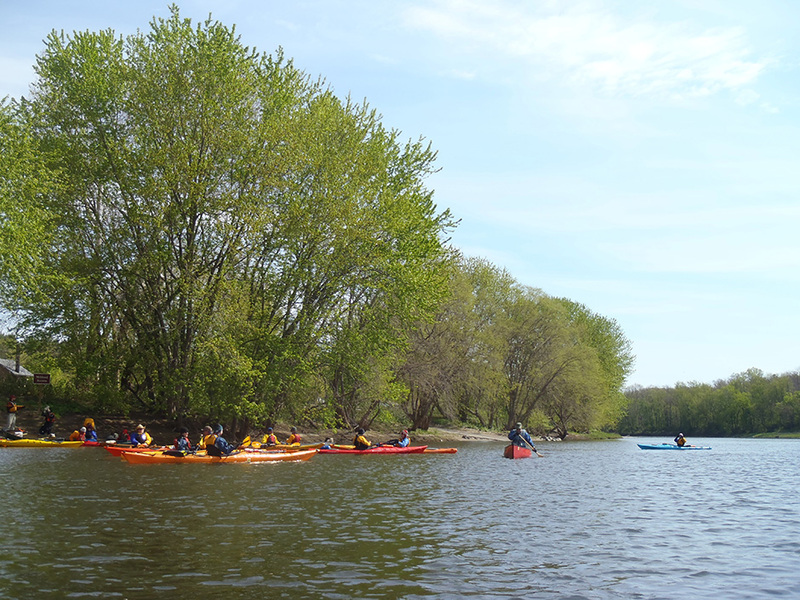 It is our group’s habit to ‘kick off’ our season (for those of us who don’t paddle/ice break all year long, or prefer to swim in more temperate waters) with a camping trip with longer than usual kayak trips being the highlight of the outing. The best thing about early-season paddling is that you avoid all the crowds and you get your the pick of the litter of the prime campsites. 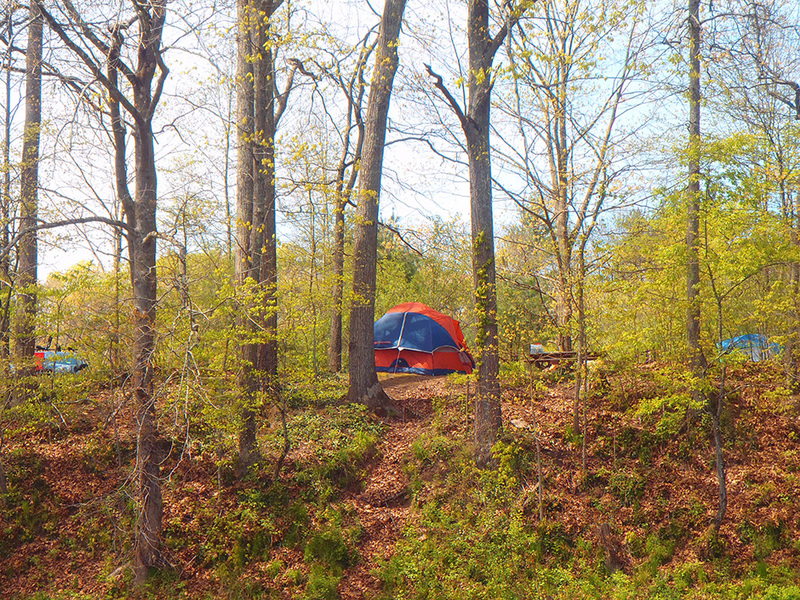 The downside to early-season camping in this region, especially in northeast corner of Pennsylvania, is the weather. April can be so unpredictable. The daytime high one-day can be well over 15.5c, that night it can be below -1.1c, and rain/snow are still not out of the question. So bring your winter sleeping bag and layers and layers of clothing, as you will be actively thermo-regulating throughout the trip. On this trip the nights were so absolutely frigid and I actually awoke in the mornings to find my tent covered in frost. This also means that early-season water temperatures are going to still be very low, in the high 1.6c to 7.2c range, requiring the wearing of cold water, quality immersion kayak gear. If you look at some of the pictures you’ll see that most people opted to wear dry suits for this paddle. Fortunately on this trip we did not have any incidences where anybody capsized, but better safe than sorry in water temperatures of that range. The Delaware River is part of the border between New York and Pennsylvania and the entire border between New Jersey and Pennsylvania. Depending on where you say the river ends it is between 482 and 643 kilometers long. The most picturesque paddling areas can be found in the more northern end, where the river has not been dredged and widened for commercial shipping (check out the ports of Philadelphia and Wilmington, both major shipping points on the southern Delaware, before it empties into Delaware Bay). If people needed to change, get other gear, avail themselves of facilities the campground offers or even take out if they didn’t want to do the entire trip. There are a lot of other options, both shorter and longer available; it is all up to you and your group as to what you want to do. On the Delaware, there is even the wonderful option of camping on islands in the river as you wind your way downstream. 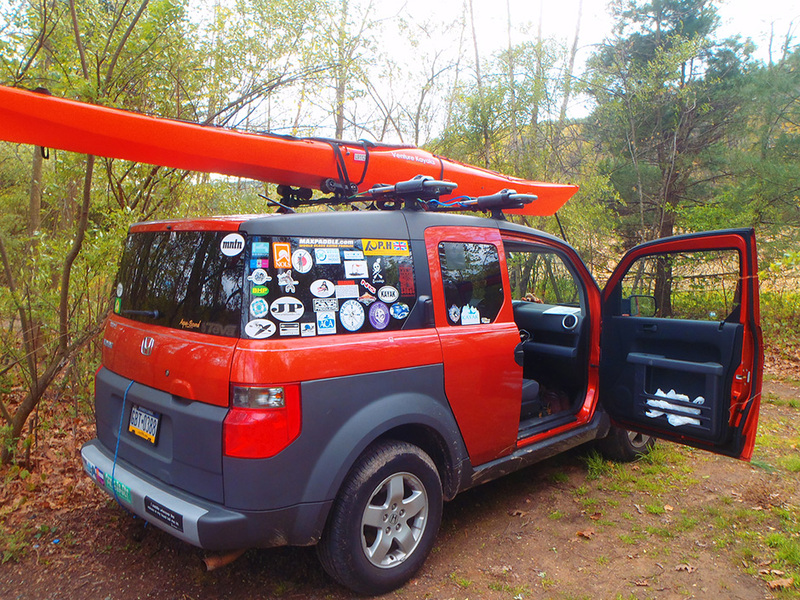 Many kayakers love this type of trip, as it insists that you trim down your kit to fit inside your kayak… tent, sleeping bag, poles, food and water as well as all your other gear must fit in your boat, or you go without. As those who have done self contained camping, this takes a lot of practice and lots of properly sized dry bags. While you can get a lot of gear in a large dry bag, it is not as flexible when it comes to packing it in, and you will most likely wind up having to scrounge through your things to find the one piece of kit your looking for/need. It’s why I opt for lots of smaller, different colored dry bags, makes both packing the boat and finding things your looking for much more efficient. The Delaware River in the Water Gap area is your classic eastern north American river cut through the mountains. It is breathtakingly beautiful, it is both tranquil and challenging in spots, as it is dotted with class 1-2 rapids, depending on the water depth and wind conditions, which in kind, warrants another mention of being dressed appropriately for the water temperature and make sure your boat is properly outfitted. On Saturday morning, 18 of us set up our shuttle and began wrestling our way into our dry gear and getting out boats into the water. Despite the below freezing temperatures of the night before, the morning had broken sunny and beautiful, marking the beginning of a beautiful day on the water. The Delaware spread out in front of us framed by beautiful mountainsides. There is always the chance of sighting White Tailed Deer or Black Bear on trips in this area. In fact, in most camping areas, you are required to take anti bear measures at your campsite. Sadly, on this trip, we saw no bear, but were joined by several White Tailed Deer, Red Tailed Hawks and a couple of Bald Eagles. The group put paddle to water and began heading down river. We set point and sweep (the first paddler, who leads the group, and the last paddler, who makes sure no one gets too far behind) and soaked up the abundant natural beauty as we clicked off the kilometres. For the most part, the Delaware was moving briskly, aiding our progress and despite the fact that the Delaware is a major river in the region, there are still plenty of rocks in it! About an hour and a half drive downstream from this paddle, areas such as Upper Black Eddy and Frenchtown, there are remnants of dams, which can make for some interesting and fun confused water. In the Delaware Water Gap areas, the confused water and rapids are from the river descending through the mountains. They add quite a bit of fun and a bit of excitement to the paddles. They can also be lumpy enough to make a spray skirt an exceedingly good idea to help keep you dry and well under control. Make sure your spray skirt is properly fitted, and that your release is free and clear. As someone who has had a spray skirt implode on them, it is a lot harder to paddle a boat half full of water than one might imagine. We stopped for lunch at our campground, just pulling ashore at the put it in where everyone refueled for the remaining 14kms ahead. 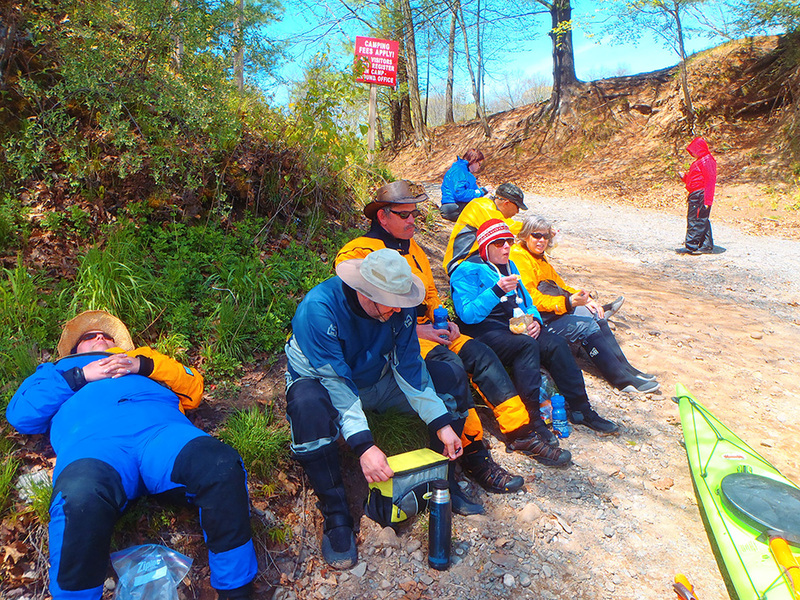 The sun had done it’s job and burned off the morning cold allowing everyone to enjoy a leisurely lunch on the banks of the Delaware before pushing on. It was quite something to be able to spy our riverside campsites as we paddled past them on to the second leg of our journey. On any of our paddles the organizers always make recommendations on boat size and type and appropriate gear. On a trip of 29kms, it was suggested that everyone paddle a kayak 4+ metres in length, to keep the group together and not have someone get separated because they could not keep up. As a rule, I always keep two things close at hand while paddling. One is my Spot emergency signal; the other is my waterproof GPS. I think it bears bringing up that while a lot of gear made for the outdoors is waterproof, very little of it floats. So, it is a good idea to either tether these items to you or your boat, or store them in a dry bag that offers buoyancy. I was watching the distance tick off on the GPS and once we had gotten past the 29km mark, I found myself wondering just how far we were going! I must admit, after a very tough night sleeping in the cold, I was getting a bit tired and looking forward to taking out and reflecting back on the trip. Well, the take out, it turns out, was another 2.1km downstream. I think everyone was happy to finally see the ramps that marked out destination. I’d imagine everyone was fairly frosty the evening before! 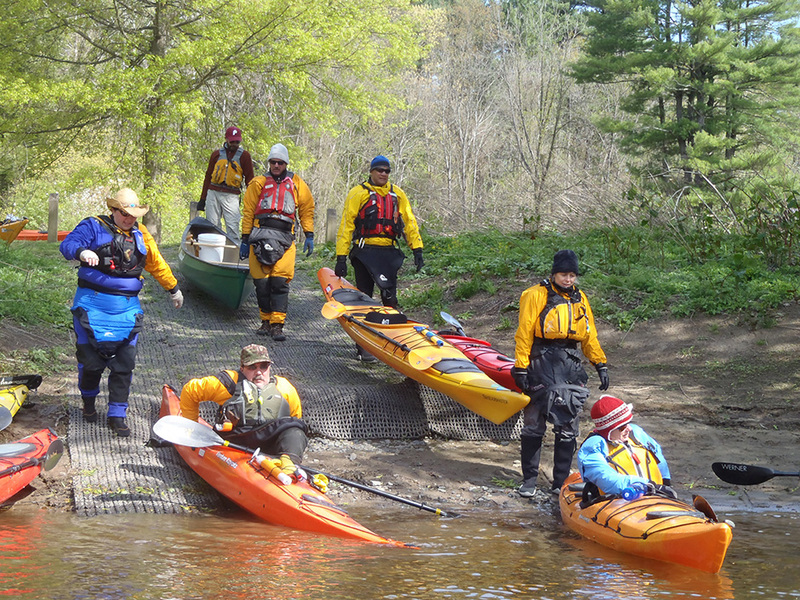 Everyone arrived safe and sound at the end of the paddle and many were very pleased to have covered 31 plus kilometers on such a beautiful day. In fact, some had such a good time that they did another, albeit shorter, trip that had them headed in the right direction to go home on Sunday. If you find yourself in the area between New York and Philadelphia and want to enjoy some of the finest scenery in the region I would highly recommend a paddle down the Delaware. It is always a wonderful trip! 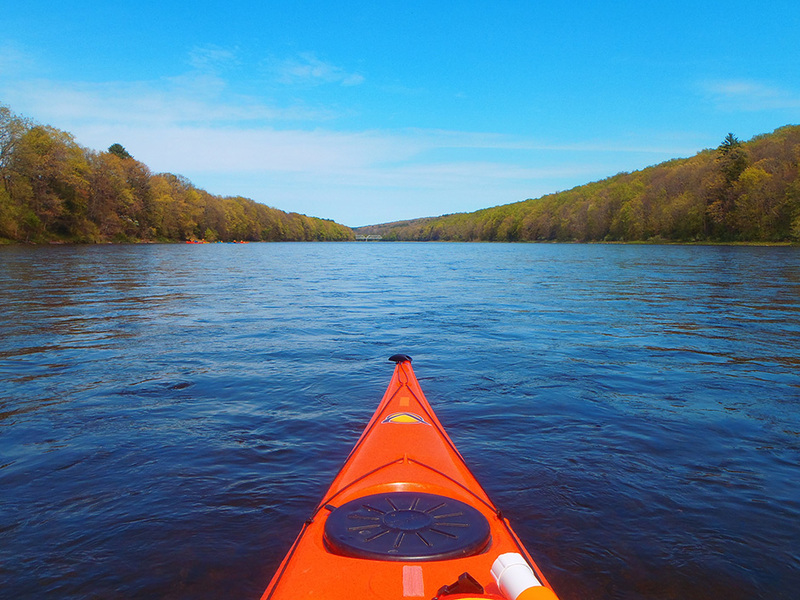 Your best resource for information on the best paddling areas and planning your trip is the website of the Delaware Water Gap National Recreational Area. A division of the National Park service, you can even avail yourselves of state sponsored buses for shuttles along the Delaware’s myriad put ins and take-outs. The Delaware Water Gap’s 70,000 acres also offer some of the most breathtaking hiking in the region, with waterfalls and scenic overlooks to punctuate the outing. This site will also link you with events and programs, fees and reservations and other highlights.